– the formal charges pressed against the Mancha Verde supporter group in general and identified persons in particular, targeting the responsible for the brawl at the airport in Buenos Aires last week? Until the perpetrators have been expelled from the Mancha Verde and justice has run its course, Nobre – himself with a background in organized supporter groups – says there will be no dialogue. He has also announced the end of privileges to supporter groups, for example free tickets, and also announced the end of free ticket distribution to the members of Palmeiras’ conseglieri. – today’s announcement of the extinction of the infamous Palmeiras B team, currently struggling in the backwaters of the A3 (!) division of the Paulista Championship, with very real possibilities of relegation? Palmeiras B was originally conceived as an incubator for talents but have for many years been nothing but a Mecca for shady investors/player managers – some of them with strong ties to the club or even counsellors themselves – making profits through commissions. Killing off the B team will partly solve that problem, in addition to saving Palmeiras a decent amount of cash in player salaries. 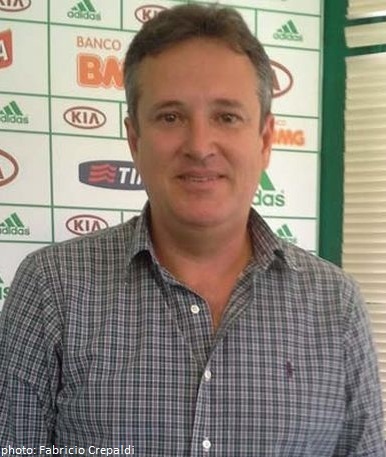 Add to the mix Brunoro’s firm and confirmed policy of only taking on players that have at least 60% of their rights tied to the club (some players on the B team had unbelievable 1% tied to Palmeiras) and we can expect major changes to the dynamics of negotiations between Palmeiras and player agents. – the appointment of a Mr Erasmo Damiani as new coordinator of the youth academy? Yet one of Nobre’s election promises, the restructuring aims at professionalising the youth academy with full-time staff dedicated to the spotting and development of future stars. A closer link between the youth academy and the first team is also envisioned. Damiani has previously developed good work at Atlético Paranaense and Figueirense.